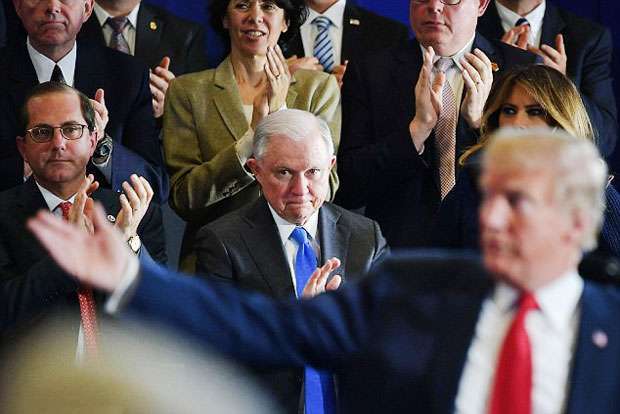 WASHINGTON AFP Aug23, 2018 - US Attorney General Jeff Sessions lashed back Thursday at increasing pressure from President Donald Trump, declaring the Department of Justice would not bow to politics. “While I am Attorney General, the actions of the Department of Justice will not be improperly influenced by political considerations. I demand the highest standards, and where they are not met, I take action,” he said in a terse statement. The words came after Justice Department prosecutors won convictions of two former top Trump aides, Paul Manafort and Michael Cohen, in high-profile cases that raised fresh questions over Trump’s behavior before he was elected in November 2016. In an interview with Fox News that aired early Thursday Trump condemned both cases and blasted Sessions for his oversight.